Air conditioners make your home comfortable by keeping you cool and dry in hot, humid weather. It has been our experience at BPP that many homeowners do not fully understand how their air cooling units work. Most air conditioning units are installed without proper sizing, testing and inspection. Our technicians have the certification and experience to ensure you’re cool and comfortable! Improve indoor air quality by keeping allergens and humidity out of your home. Save 20-50% on your electricity bill. Keep your family and pets comfortable and well-rested. Prevent dangerous refrigerants from leaking out of old, inefficient units. What Kind of Air Conditioning? Energy-efficient air conditioning is available in many different forms, depending on the living area, budget and other needs. Central air conditioning uses your home’s HVAC duct system to distribute cool air throughout your home from a single exterior unit. AC window units provide cooling for a single room and can be removed when not in use. Ductless AC or mini-split heat pumps have one unit outside the home and one inside the area to be cooled. 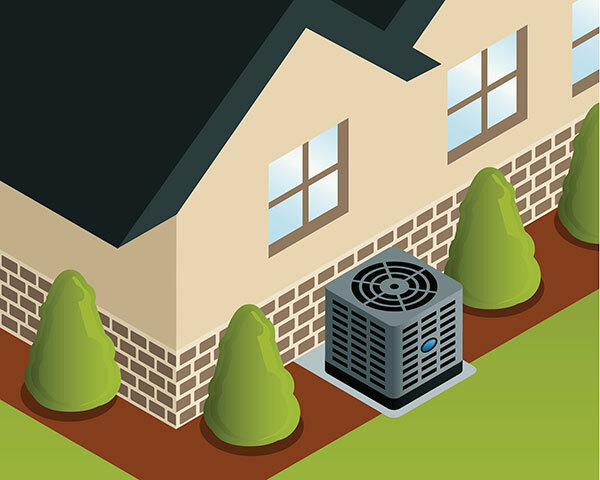 Mini-split heat pumps can also provide heat during the colder months. Energy-efficient air conditioning upgrades qualify for California PACE financing and many rebates and incentives from state, federal and utility sources, including Energy Upgrade California and BayREN available in our area. If your air conditioning doesn’t seem to work properly, the first step is to have one of our technicians inspect your AC system. We can inspect your filters, check your refrigerant coils for minute leaks, and clean the AC unit. As part of the inspection, we’ll also check to see if your ductwork is leaking and that it is properly connected to your air conditioning system, and perform any necessary AC repair. Need New, Efficient Air Conditioning? Carrier® air conditioners are a great option to upgrade your old AC with a quiet, energy-efficient AC unit. BPP is a Carrier Comfort Dealer, meaning we know how to properly size, install and service all models and types of Carrier air conditioners. We’ll ensure that your system is installed to provide you with perfectly cool air whenever you need it. Is it time to upgrade to an energy-efficient AC system? Our factory-trained and certified technicians can assess your existing system and make recommendations. Get in touch with us today by calling (925) 256-1092 or by completing our online contact form.